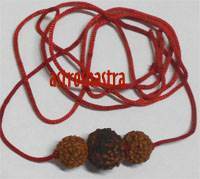 Rudraksha Beads: One fifteen Mukhi, Two Eleven Mukhi rudraksh and Four Parad Beads in Red thread. 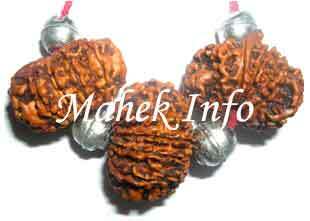 Description of Rudraksh Pendant: Pashupatinath rudraksha pendant is for wealth, power, energy and prosperity. Blesses one with true happiness and inner peace, leads one to the right path, improves 'karma', destiny and future. It helps canalize thoughts and remain focused. Increases concentration and energy. The fifteen Mukhi rudraksh is blessed with the powers of Lord Pashupatinath and bestow its wearer immense wealth, authority and recognition. It is specially beneficial for economic progress. Its possessor is neither bereft of wealth and nor inflicted by any type of skin diseases. Along with fifteen Mukhi Rudraksh two eleven Mukhi rudraksh are their in this pendant which has the combined powers of eleven gods stored within. 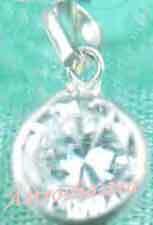 This enhances the wealth and prosperity. This grants long life to the husbands of the wearers. in getting desired son or daughter, also one gets the love and affection of the desired person by its grace. 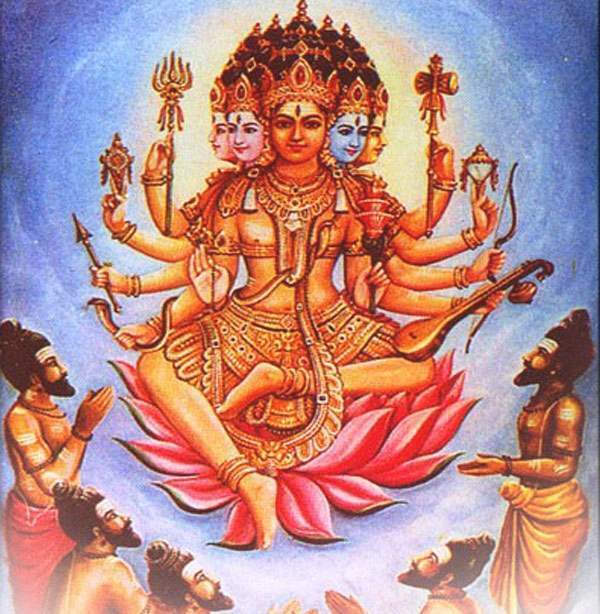 It is believed that eleven Rudras live in its eleven faces. This is capable of giving instant results. Its wearer gets the merits of one thousand horse sacrifices and gifts of one thousand cows to the Brahmins. 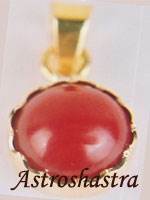 Wearing Mantra : "Om Shreem Manovanchitm Hreem Om Namah"